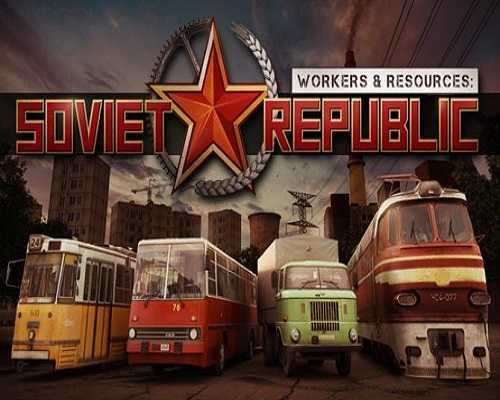 Workers & Resources Soviet Republic is a Simulation and Strategy game for PC published by 3Division in 2019. An eastern European social sim game! This game is a perfect Combination of the complex planned economy of Factorio and the careful city planning of Cities Skylines with a charming eastern European socialist flair. There are, right now, over 30 commodities you can mine, transport and manufacture. If you want to get clothes you will first need to get resources to create a fabric, then you will need a clothing factory. You can then transport the finished clothes into shops where your citizens can buy them. Every commodity has a specific requirement,so if you would like to load oil into the tank train-car you will need a special pumping loading station. If you need to load gravel into a dumper truck you need a special loading station where the gravel comes from conveyors into the truck. Liquid resources like oil or fuel can be stored only in tanks, while resources like wood, steel, or prefabricated concrete panels can be stored outside in the open space. Every worker/citizen goes to work each day. If they work for you, they have demands. As time goes on they may have more demands like meat, clothes, alcohol or electronics. Also, to have happy workers you need places where they can spend their leisure time – cinema, playgrounds, taverns, etc. Manage all aspects of your own republic with planned economy, including mining resources, manufacturing goods, construction, investments, and citizens too. Create your own industrial complexes with loading and unloading stations, storage, warehouses, and factories. Build the infrastructure and manage its traffic, including roads, railways, sidewalks, conveyors, wiring, and pipelines. Wisely place and connect factories, houses and warehouses, and make the most efficient connections. Plan and build the living areas with everything your citizens may need to live their happy life, such as playgrounds, cinema s, taverns, and shops. 2 Comments ON " Workers & Resources Soviet Republic Free PC D... "
can you add tropico 6 please?